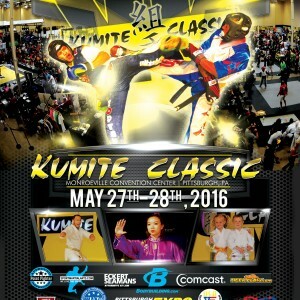 Download full flyer or register for the Kumite Classic sport karate tournament. 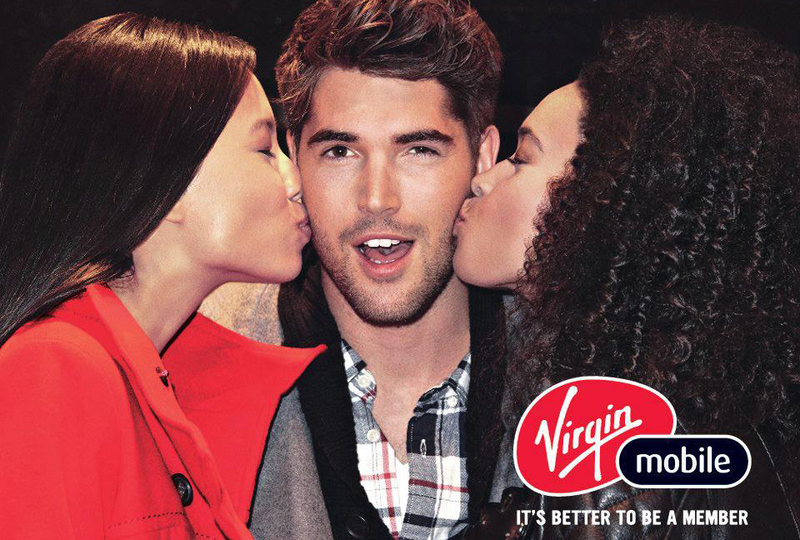 Our former champions are include International Model Nick Bateman… the face of Virgin Mobile. 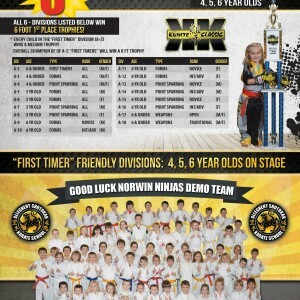 The Kumite Classic has a rich tradition of talent who have made the “Big Time.” From movies to international model campaigns former World Champion Martial Artist Nick Bateman has risen to be an industry leader. Watch the Virgin Mobile commercial below. 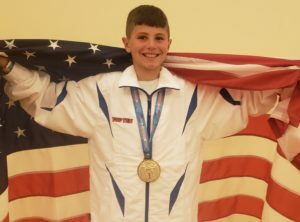 Traditional Karate Kumite makes a bid for the 2020 Olympics. 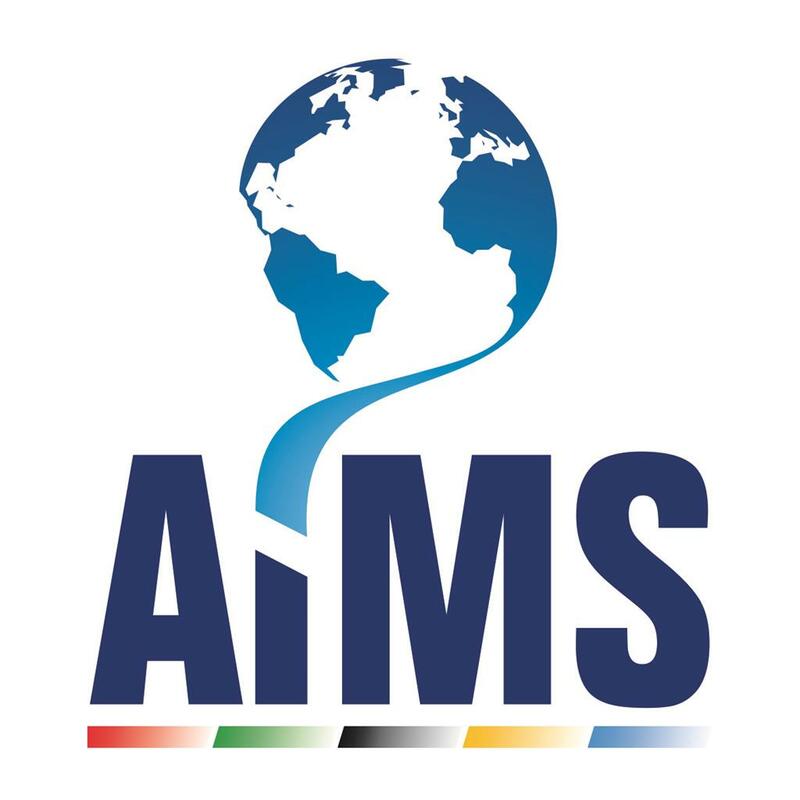 Bookmakers are publishing the first rankings of IOC shortlisted sports seeking inclusion in the 2020 Olympic Games program. According to these lists, Karate is the leading bid far before squash and baseball. 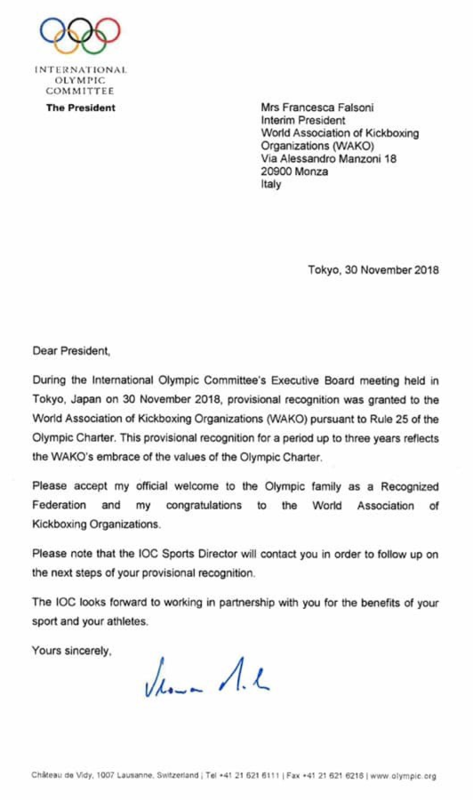 Breaking news… Karate is the odds-on favorite to make the 2020 Olympics! 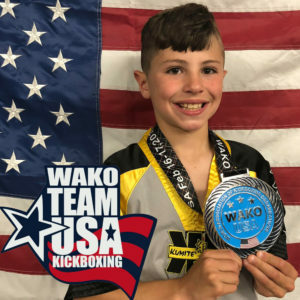 Karate is 1/2 to win the nomination ahead of squash at evens, baseball and softball at 5/4, wushu at 5/2, roller sports 8/1, sports climbing 10/1 and wakeboard 10/1. via British Bookmaker William Hill. 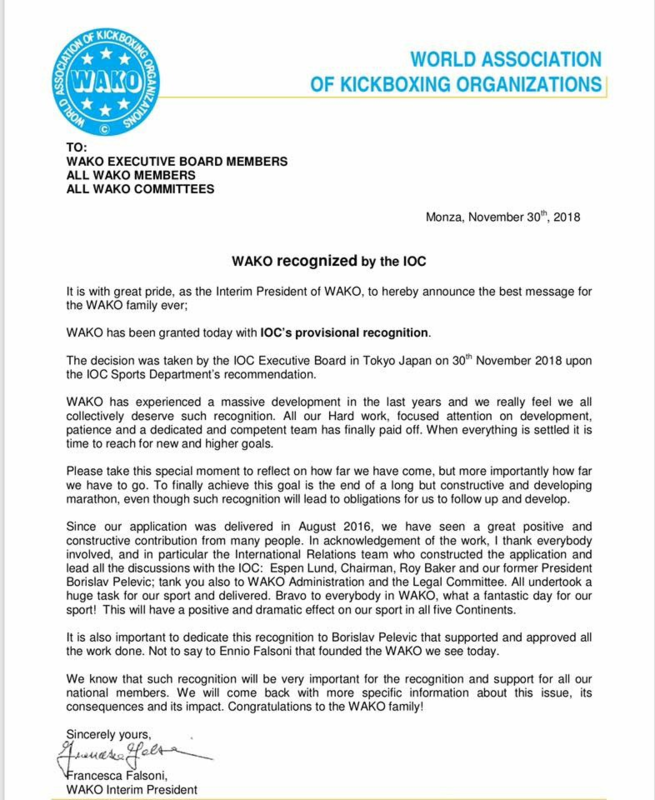 Karate officials claim that there is now more than 50 million participants worldwide who practice the sport. KARATE IS A POPULAR COMBAT SPORT – Leader among sports federations and practitioners. Leader in broadcasting and media communication. When combat sport is mentioned, KARATE immediately jumps to mind. KARATE BUILDS SOCIAL INTEGRATION – Lifelong practice of humility, mutual respect, rejection of violence, physical health and emotional control ensures that KARATE practitioners become good role models and ethical citizens. 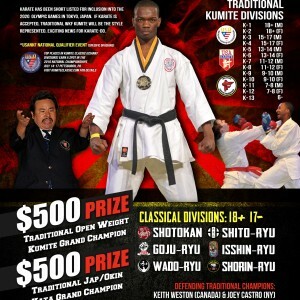 KARATE IS FOR ALL – Karate is integrative, practiced worldwide in all cultures and nations. Disability is not an obstacle and a specific body type is not required. 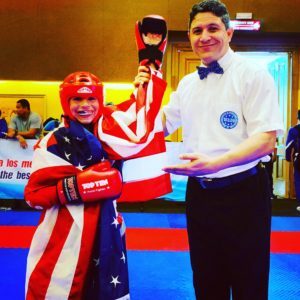 Social Integration – One of the key elements that defines Karate is respect for others. 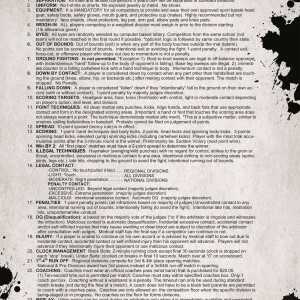 Practitioners consider themselves equal whatever their social or economisc background, culture, language or gender may be. 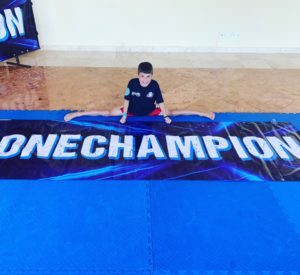 Fairness and Humility – Karate practitioners are noble; not only do they learn to see the sport as a competition, they also consider it a lifelong practice in wich all are equal and help each other attain their goals. Physical and Mental Balance – Karate practice teaches control of agressiveness and violence, overcoming shyness and improving confidence. Psychomotor capacity is improved through coordination of movement, synchronisation and reflexes. Rejection of violence – Practising Karate implies learning to control one’s strength. This sport penalises contact. 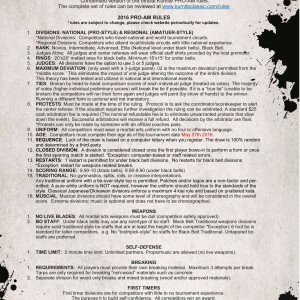 Violence is not part of Karate. 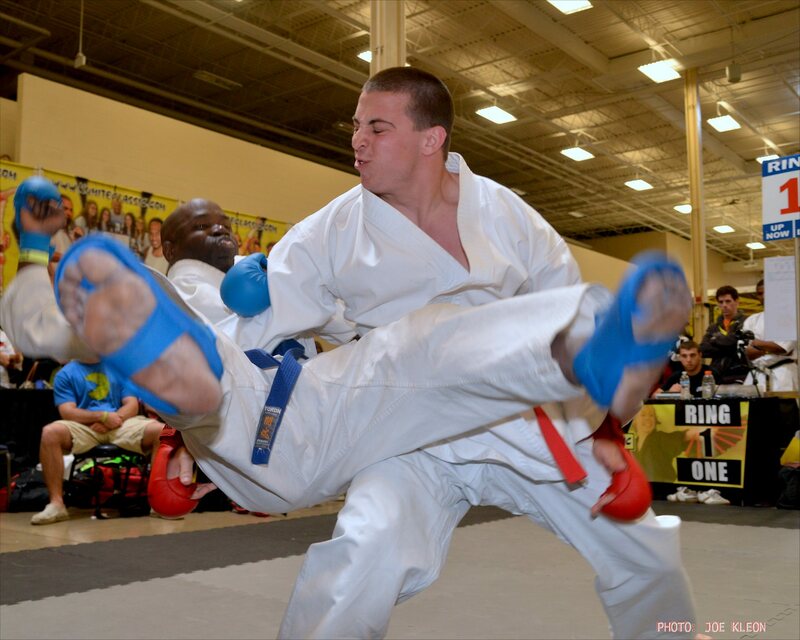 Overcoming Difficulties – Karate provides the will to overcome and to respect others. Practising Karate strengthens the spirit wich prepares people to deal with obstacles and difficulties in everyday life. 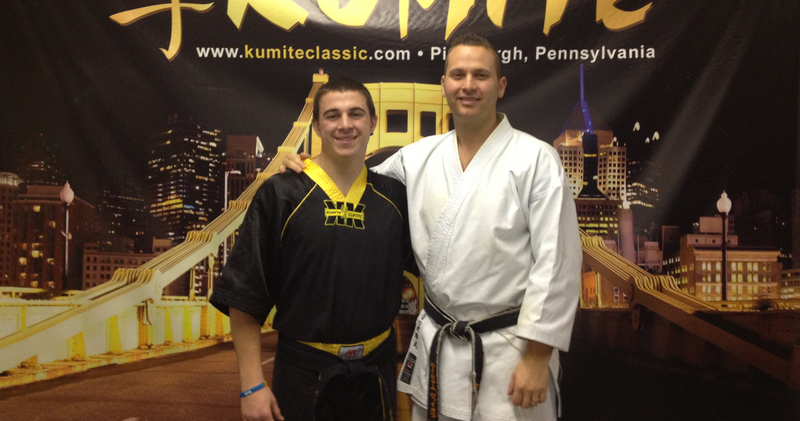 The 2013 Kumite Classic is scheduled for Memorial Day Weekend Pittsburgh, PA at the Monroeville Convention Center. 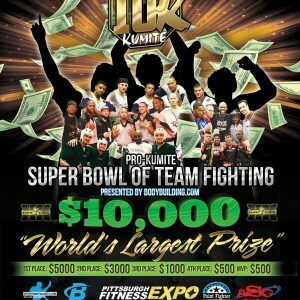 The Kumite Classic, is one of the most diverse martial arts and fitness expos in the United States. 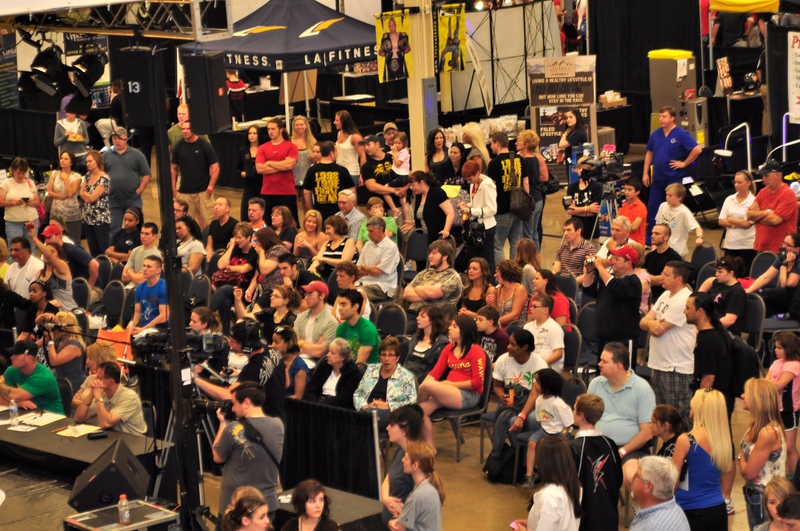 The annual show based in Pittsburgh, Pennsylvania hosts a full scale consumer expo surrounded by multiple championships and competitions that run simultaneously including sports such as; sport karate, natural bodybuilding, power lifting, strongman, Olympic weight lifting, dance, cheer, arm wrestling, grappling, jiu-jitsu, physical fitness challenges etc. The event also hosts concerts, talent showcases, model pageants, bikini pageants, and fitness pageants. The high energy atmosphere has created a unique fan base of sports and fitness enthusiasts. Promoter and Director is Bill Viola. 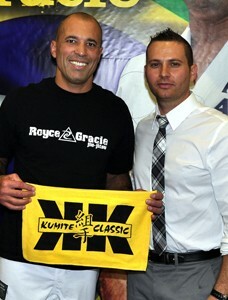 In May of 2005 Kumite Classic partnered with former Mr. World Dave Hawk and Olympic Champion/Professional Wrestler Kurt Angle to host the Ultimate Teen Challenge in Pittsburgh. 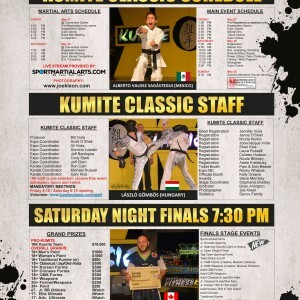 The event has become an annual feature at the Kumite Classic. 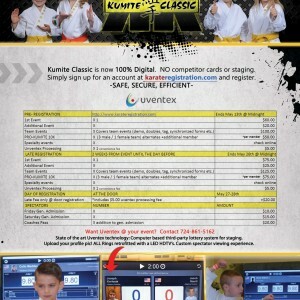 On May 30th 2010 the Kumite Classic collaborated with CV Production Inc. to host “Caged Kumite,” a pro-am mixed martial arts promotion. On May 28th 2011 Kumite Classic partnered with former NFL Professional player Franco Harris to host The World Teen Football Combine. Jeannette High School standout Demetrious Cox won the first annual competition. 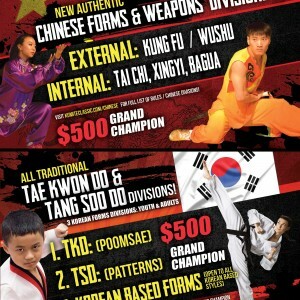 In 2010 Kumite Classic Entertainment launched the Fitness And Sports Tour (The FAST Expo), a campaign that features the consumer expo and emphasizes the importance of living a healthy active lifestyle. December 16th 2010, Kumite Classic promoter Bill Viola, was honored at the 35th Annual Willie Stargell Memorial Banquet with “Pittsburgh M.V.P. 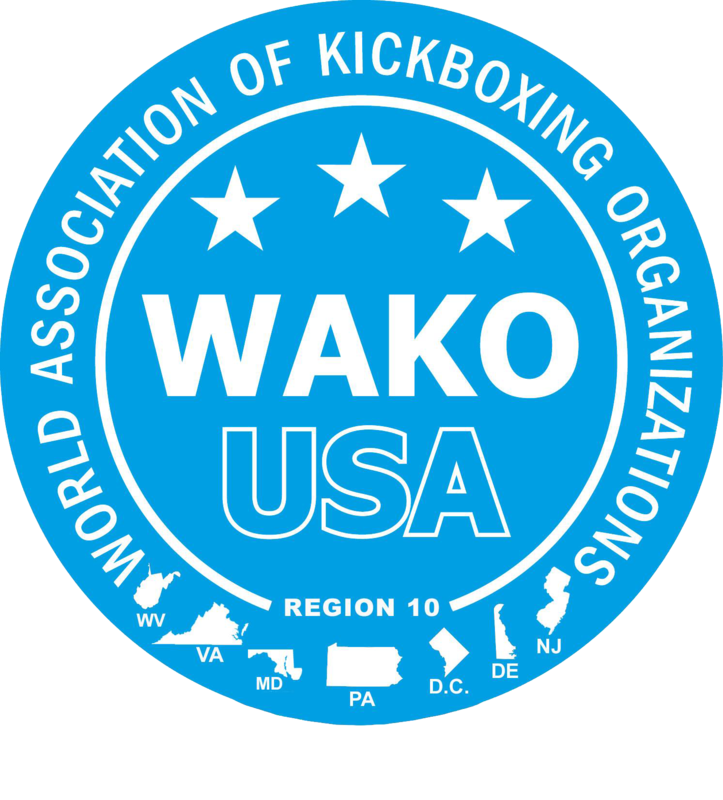 Award” for his work within the fitness and Martial Arts industry. 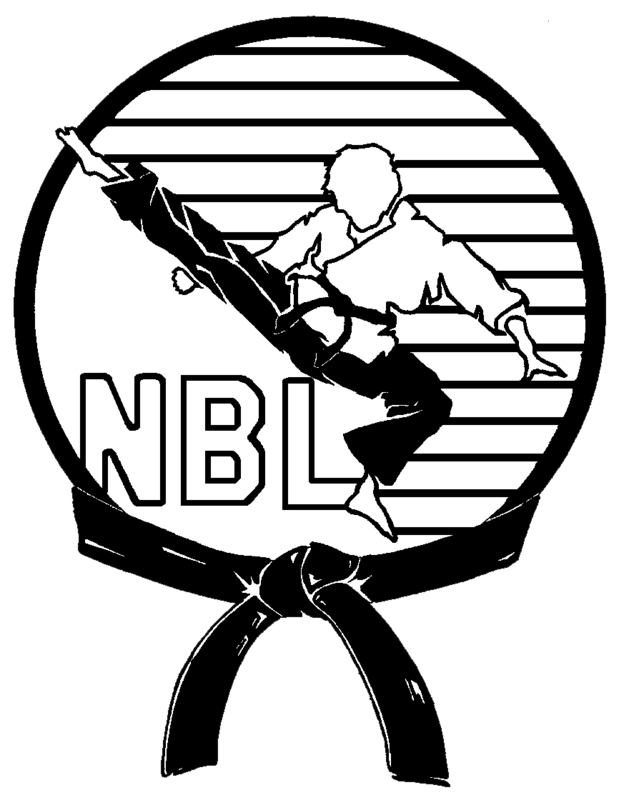 The Kumite Classic is an NBL National Black Belt League Can-Am conference tournament, a qualifier for the NBL Super Grands World Games. 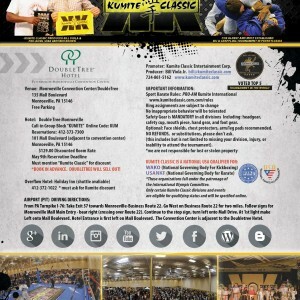 The 2013 Kumite Classic is scheduled for Memorial Day Weekend at the Monroeville Convention Center. 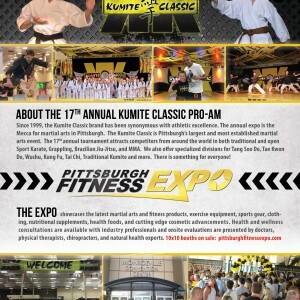 The Kumite Classic is the mecca of sport martial arts, fitness and karate for the past two decades in Western PA. Pittsburgh “City of Champions” is home of the prestigious Kumite Classic, a brand that is synonymous with athletic excellence recently honored with the Pittsburgh M.V.P. Award at the Willie Stargell Memorial Banquet. Over the past thirty years legends such as Michael Jordan and Muhammad Ali have attended the banquet.